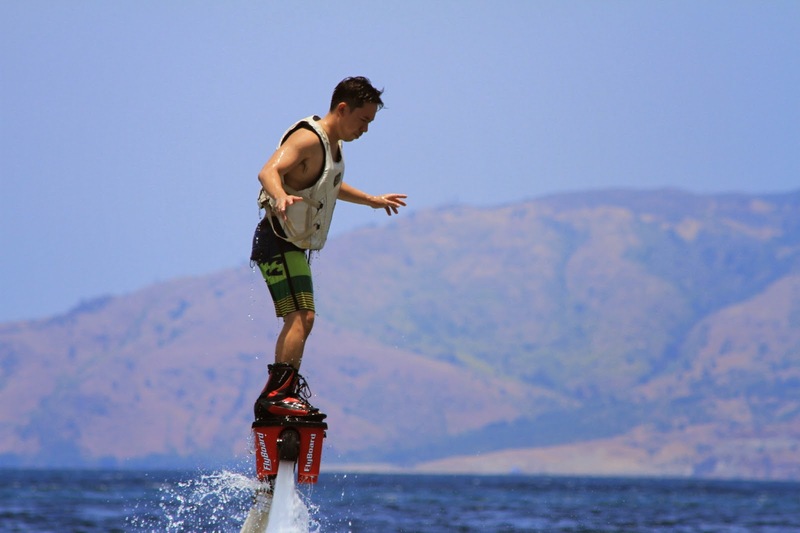 After a session of hoverboard, I have tried flyboarding again in Subic last weekend so I am updating this post with more (nicer, less grainier) photos and video by Arvy, as we did it during noon, with good lighting, and not at dusk like the last time. Aside from the time of day, the difference this time is the flyboard contraption that I've used now is without the two nozzles attached to my arms. I was told that they've encountered some issues with the arm nozzles, the inner parts of which can cause cuts when they become frayed, so they removed them all together. I did not notice any difference in terms of maneuverability; in fact I think this time it's better because there are fewer things to mind while riding. The balance comes mostly from the legs anyway, so having the nozzles in the arms is a bit redundant. 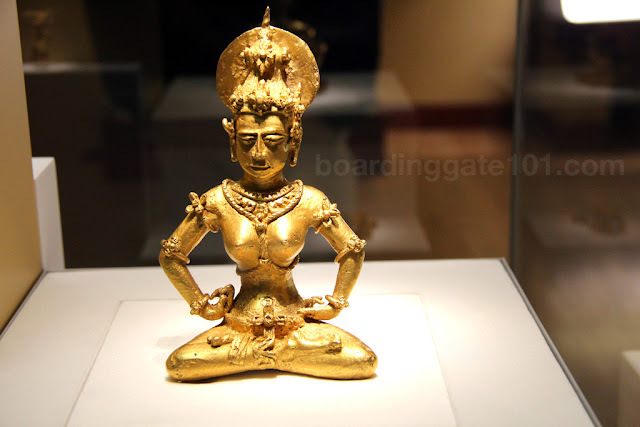 The original post follows below. All information are still current. 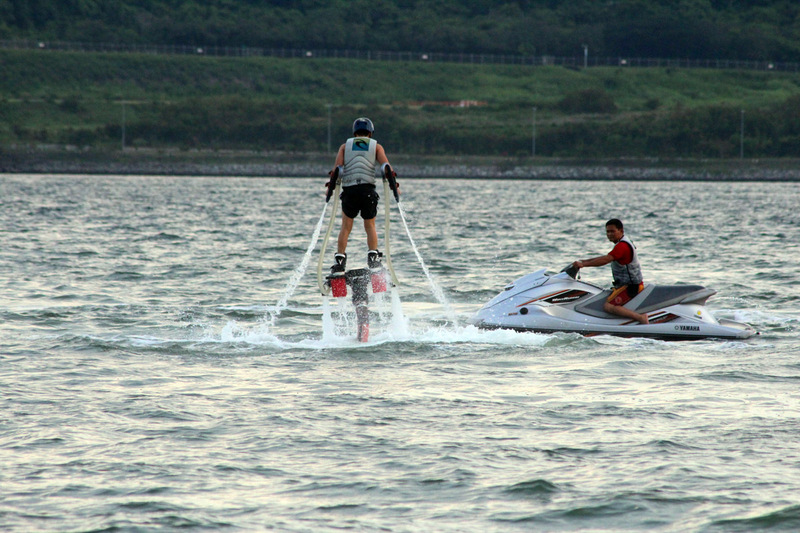 Here's another adventure that I can tick off my list: flyboarding, also known as hydrojet surfing. This weekend, me and my travel buddy +Arvy Villamarzo drove to Subic Freeport, the former US Navy base located just north of Manila, for the sole purpose of trying the new sport. Flyboarding was invented by Zapata Racing in 2011, and it is just starting to catch on to the thrill-seekers. 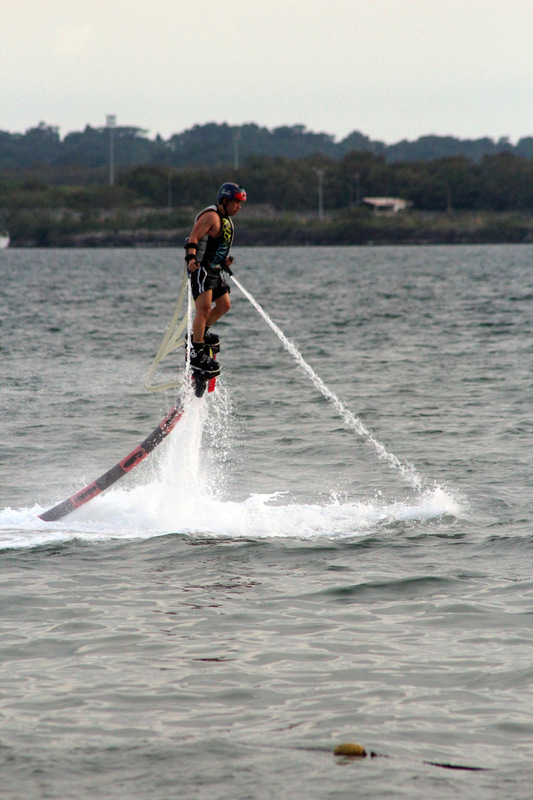 Flyboarding, in contrast to other board sports like surfing, does not involve a board. Rather, a contraption is attached to your feet. Another set of nozzles are also attached to your arms. 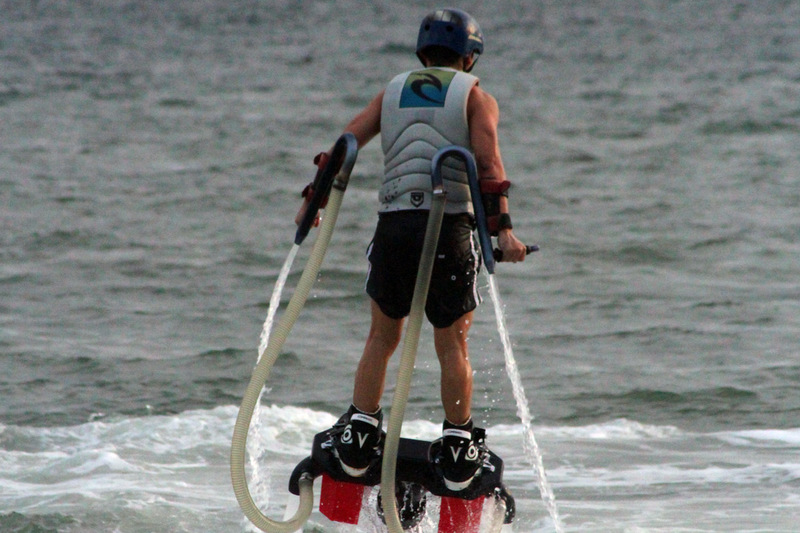 The contraption in turn, is connected to a jet ski. 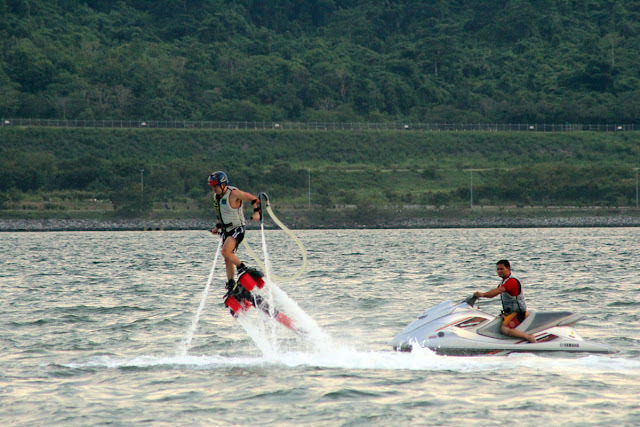 The water being propelled by the jetski provides the thrust. In a way it is like Iron Man with his boot jets and repulsor, which enable you to shoot up out of the water and maintain your altitude. Just like in riding a board, you can control your direction by moving your feet and twisting your torso. The jets coming out from the hand-held nozzles can also provide some directional control. We arrived in Subic about half an hour past four in the afternoon, and we proceeded to Networx Jetsports, the facility that offers flyboarding. After paying the fee, I was given a short video instruction about the concept, how to operate the hydrojet, how to maneuver, and the safety precautions while the machine is in operation. Then I was ushered to the beach by Vince, the operations supervisor of Networx, who introduced me to Larry, the one who's going to operate the hydrojet. I also donned a helmet and a life vest. Another employee, who was the lifeguard, joined us in another jetski. He was circling around the whole time, shooing away other people in jetskis when they get too close to us. After checking the equipment we set out to a deeper part of Subic Bay to begin. At first I had trouble balancing and I could barely clear the water before falling back down. It turned out the nozzle on my left hand was undone. I went back to the jetski and it was reattached. I managed to nail it the second try. I was now able to control the direction by moving my toes slightly on either direction, and I can balance better. Larry tried to increase the RPM of the jetski, and I kept going higher and higher, from 5 feet high to as high as 8 feet. I got more and more confident and eventually I was able to do turns, and avoid the jetski when I'm in close proximity to it. 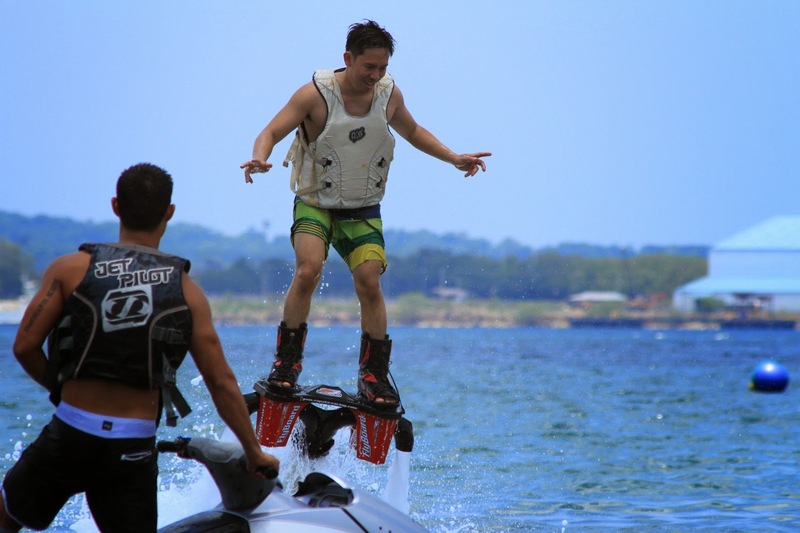 The twenty minutes that I signed up for flyboard time felt like a breeze when you're having so much fun. After a while Larry signalled to me that I have two minutes left, giving me a handful more chances to stand up and rise above the water. Then, the fun was over. As I left the water I noticed that I have a scrape on my leg, perhaps the result of tangling with the hose, and and bruise on my torso, probably when the vest rubbed against the skin. But it was OK. 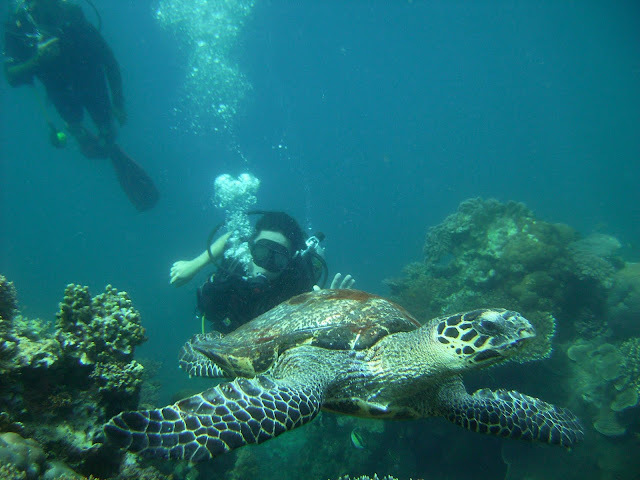 The adrenaline rush was more than enough to soothe the stings from the saltwater. 20 minutes of flyboarding costs PhP4,500. 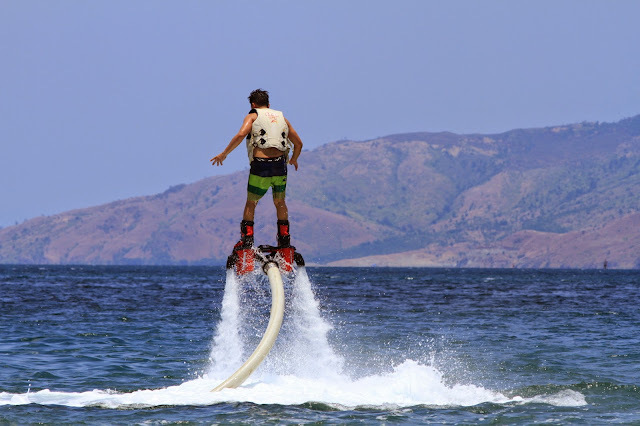 Networx also provide other services such as hoverboard (same price as flyboarding), jetski rental (PhP2000 for 30 mins), banana boat ride, and parasailing, among others. by Kin Enriquez. Many thanks to Arvy for driving and for taking the pics and videos. You got scrapes under your vest? Ouch. Looks like fun, though. I think when the vest rubbed against the skin. one on my leg too, when I tangled on the hose. But nothing serious. 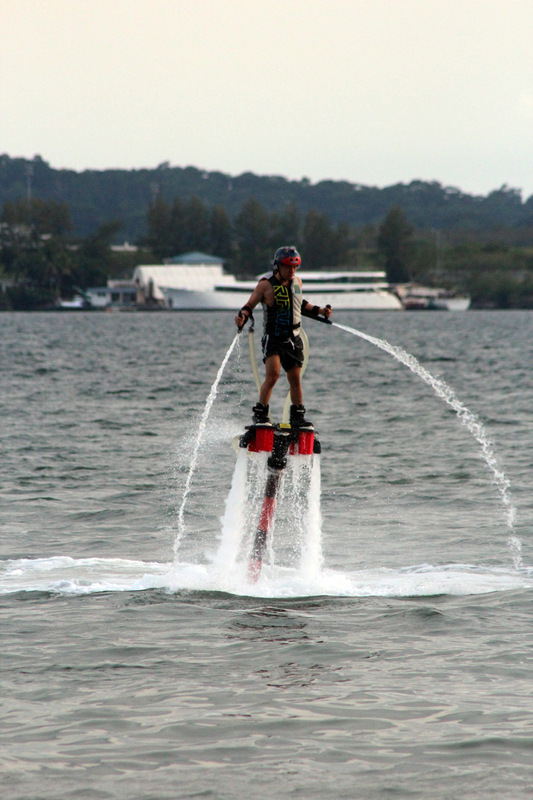 good day we also have that flyboard here in cebu at pf tours located at lapu lapu cebu.also fishing charter. 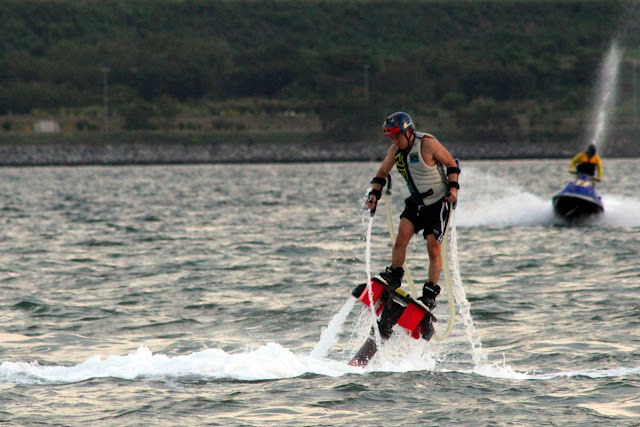 I saw the video on Flyboarding since my friend is asking if we could try and I agree that it was lots of fun. wow! i never tried this before! i wish i wasn't a scared and just go ahead and try adventurous stuff..
Cool,this one is on my bucket list, however the rate isn't friendly to me. Haha. Hi. it was not really heavy although it took me a while to adjust to it and be able to maneuver it, since it is attached to a big long tube to the jetski. but the long (plastic) tube and the life vest do help in keeping your buoyancy. you also wear a helmet for added protection. thanks! Im looking forward to trying it soon! any advice on how to prepare physically before doing this cool sport? thanks for the tip, really is something, keep on sharing :) would you know what charges are there if you go beyond 20minutes? like u go 30 or 45 maybe? Hi, sorry for the late reply, Im currently on travel. I think they charge by 20-minute blocks. I can ask them to be sure and will update you. 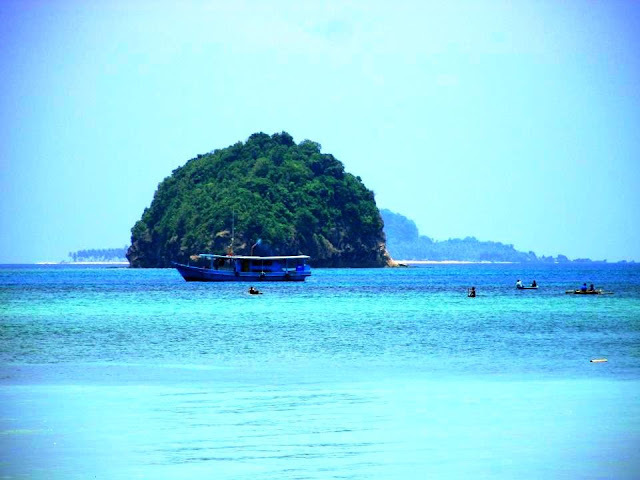 i knew where it is and i was informed by the locals that the sea-water there is too dirty?